What readers—and non-readers—may not realize about Album Bracketology is that it is not just an annual event that happens every spring. While everyone in the Propeller office celebrates the publishing of the album of the year articles each spring, we Propellerites know the truth. Whether it appears on the hallowed pages of Propeller, or on our unpublished sister zine Pontoon, the action of Album Bracketology is non-stop. It is a year-round, up-at-dawn, void-of-sleep operation. These first two paragraphs seem to be nonsense that can be skipped. The shorter version of these rules is that this is a double-elimination tournament that happens in this guy’s head. For the second year in a row, there are 256 albums in this year’s tournament, making a perfect number for a double elimination tournament with no byes or filler. If a match-up is too close to call, there is a “listen-off” in the Propeller studios. If there is still a question after this listening event, the Propeller editorial board holds a caucus to decide the winner. This move is used sparingly, though last year we held a record four caucuses. Like last year, this year’s draw was completely random. Theoretically, the best two albums of the year could meet in the first round (and potentially again in the final). In keeping with tradition, forty-one percent of the total number of entrants will make the prestigious list of the year’s top albums. Forty-one percent of 256, rounded up, is 105. One drawback—and beauty—of Album Bracketology is that bad draws happen to good albums, and Album Bracketology takes that into account. The best two albums that lost their first two matchups will finish Nos. 104 and 105. Three albums that are eliminated after losers bracket round two will finish 101-103. And four albums that meet their demise after losers bracket round three will crack the top hundred with places 97-100. Any album that advances to at least the winners bracket round three and/or the losers bracket round four will round out the final 96 albums. Philadelphia band Dr. Dog, winners of this tournament in 2010. Their latest album is Critical Equation. Looking at this year’s tournament, there are fifty-three returning artists who have placed in the top forty-one percent in past years. Also, this is the tenth year of Album Bracketology and we’re still looking for our first repeat champion. This year features two returning champions, Dr. Dog and the Decemberists. These two former champs aren’t any old performers. To say that these two teams have a shot is like an announcer saying that Duke and Kentucky have “a decent pedigree.” The Decemberists have been in the tournament three times, finishing No. 6, No. 16, and winning it all in 2011. Dr. Dog has been in five previous versions of Album Bracketology, winning in 2010 and finishing Nos. 6, 15, 11, and 6 again in subsequent years. Both bands look to continue their winning ways and have multiple entries when Propeller proclaims its album of the decade in the fall of 2020. Breaking news: The tournament is underway and punk rocker Jeff Rosenstock has already scored a tremendous upset of Dr. Dog, meaning the former champs will have to go undefeated the rest of the way and come up through the losers bracket in order to win again. Meanwhile, the Decemberists defeat SOPHIE, U. S. Girls, and the Struts to ease into winners bracket round four. In other Decemberists news, the band actually has two entries in this year’s tournament, as the Portland band released both a full-length album and an EP. While the band’s EP did not place in the final forty-one percent in album Bracketology, it did place third in the preseason tournament to crown the 2018 Propeller EP of the year, won by boygenius. 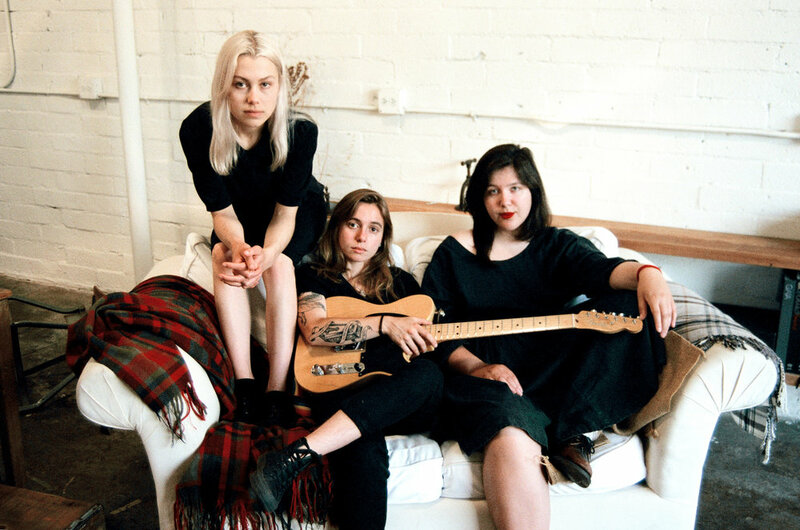 boygenius: Phoebe Bridgers, Julien Baker, and Lucy Dacus. Speaking of preseason tournaments, Propeller also held its first annual Scandinavian Album of the Year , featuring musicians from Sweden, Norway, and Denmark. Sweden has long been the best purveyors of pop music in all of Europe, but its Scandinavian counterparts, in a letter to the Pontoon editors, asked to vie for a tournament championship. The tournament ended up being a great thing, partly because of the difficult draw so many Scandinavian bands received in this year’s main draw. Denmark band Iceage, for example, finished second in Scandinavia but was in the main draw group of death No. 1 with Tierra Whack, Speedy Ortiz, and Screaming Females. Iceage fell out after two matches. Group of death V. 2.0 featured Courtney Barnett, Lucy Dacus, Valley Queen, and Minnesota band Now, Now. Now, Now also lost twice, but Album Bracketology awarded spots in the final 105 to both Now, Now and Iceage. Speaking of Courtney Barnett, she also lost in the first round in the main draw, but can hang her hat on the fact that she won her next four in the losers bracket, and she also placed third in Pontoon’s preseason tournament to crown the Australasia Album of the Year. The draw did seem kinder to artists from New Zealand and Australia, as evidenced by another great Scandinavian album, this time by Swede Tove Stryke, bowing out earlier than expected, along with Shannon and the Clams and Superorganism. By the way, you can follow along with the official bracket at https://challonge.com/mq7yyzrk. Breaking news: We just received a letter to the editor. The tournament is supposed to be for best album of 2018, so this fake letter about 2019 is confusing and can be ignored. It has come to our attention that an album you listened to—and enjoyed—in 2019 was left off of the countdown list. We request a response on how you plan to rectify this situation. Yes, it’s true. Texas band Motorcade was inadvertently left out of the bracket, despite having decent prospects. This is not without precedent. This happened in 2015 with Hijos de le Montana, a band destined for the top fifty. While it’s too late to include either band in this year’s tournament, both bands will receive wild card entries into Propeller’s album of the decade tournament happening in the fall of 2020. There are also rumors that Motorcade might challenge the champion this year to a listen off. The author keeps desperately referring to an album of the decade tournament in fall 2020. No offense, but I hope I don’t have to read that. Losers bracket round three concluded with another Scandinavian band stuck with a bad draw: First Aid Kit, made up of Swedish Sisters Klara and Johanna Soderberg. Speaking of European sibling bands, Scottish twins Charlie and Craig Reid, also known as the Proclaimers, placed 97th this year, more than a quarter century after finding fame in the 90s with their hit “500 Miles.” The quirky brothers returned this year and hit the countdown with Angry Cyclist. Back to the action: the last preseason tournament this year featured a two-album battle between Black Panther and Spider-Man: Into the Spiderverse to crown The Superhero Movie Soundtrack of the Year, which was won by the latter. In Spiderverse, multiple spider-heroes discovered that they have counterparts in other universes that have similar powers and similar backstories. In a case of art imitating other art, our sideline reporter Alvin Bracketology has learned that just like in the Spiderverse movie, there are parallel tournaments playing out in sub-universes with the same teams. If this is Motorcade’s way of protesting, they made the odd choice of leaving themselves out of two more tournaments. Alvin found links to Parallel universe double elimination and Parallel universe single elimination. Follow along with these at your own risk. Everything above is confusing and made me realize: this guy doesn’t actually write about the music. Is this kind of just whispered self-talk filled in around a list? Wait—is this written by a little kid? With the NCAA tournament launching with 64 teams on Thursday, Album Bracketology also finishes its first part by whittling down to 64 teams. But we say goodbye to numbers 65-96. Dr. Dog and the Decemberists keep their dreams alive of being repeat champions. 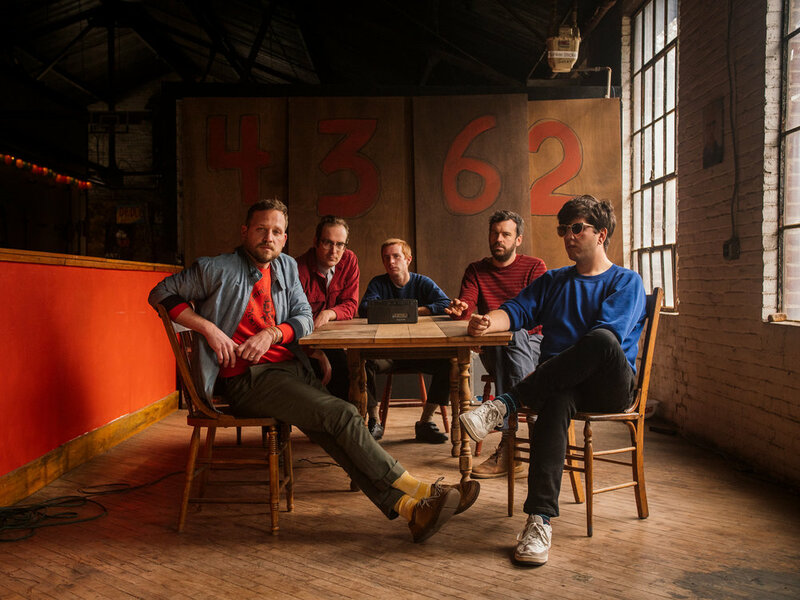 Dr. Dog is one of eight remaining artists that advanced to the round five of losers bracket after losing in the first round. The others include Speedy Ortiz, Bodega, Doug Paisley, Black Panther soundtrack, Art Brut, Courtney Barnett, and IDLES. In the next installment, we’ll cut the field in half to thirty-two—or thirty-three, if you count Motorcade, who isn’t satisfied with a wild card into the Album of the Decade tournament.